A CT scan, sometimes called a CAT scan, is a diagnostic imaging procedure that uses a combination of X-rays and computer technology to produce very detailed images of structures inside your body. CT stands for computed tomography, while CAT stands for computed axial tomography. While standard X-ray technology produces flat, shadowy images, CT scanning creates richer ones that make it easy to visualize volume and shape. This is because in CT scanning, the X-ray machine rotates around the body, taking numerous pictures in thin, horizontal slices; then the computer assembles these slices to provide a highly detailed view or even a 3-dimensional image of the structure being examined. Because of its ability to quickly produce highly detailed views of tissues and blood vessels, CT imaging is often used to evaluate patients when acute traumatic injuries are suspected, such as from a motor vehicle accident. It is also commonly used in the workup of chest or abdominal pain. When cancer is suspected, such as lymphoma or cancer of the lung, liver, kidney, ovary or pancreas, CT imaging can allow the physician to visualize the tumor and assess its size, location and possible involvement with nearby tissues. Low-dose CT is recommended as an annual screening test for lung cancer in certain adults with a history of smoking, because the technology is better than routine chest X-rays at showing lung tumors. CT scanning also may be used as a tool in detecting, diagnosing and treating vascular disease, pulmonary embolism or aortic aneurysm. In addition, CT imaging can be used to guide a doctor performing a needle biopsy or administering radiation treatment for a tumor. CT imaging can also be useful in detecting and diagnosing medical conditions in children. It is often used to assess cancers such as lymphoma and neuroblastoma and to evaluate certain congenital malformations. Doctors may also use CT imaging to help guide treatment of cystic fibrosis or inflammatory bowel disease, and to evaluate possible complications of illnesses like pneumonia and appendicitis. When it comes to CT scans, the radiologists at Northwell Health Imaging are the power behind the exam. Every CT scan is performed with state-of-the-art technology and interpreted by a fellowship-trained body radiologist whose diagnostic skills have been honed by specialized training and thousands of hours of experience. If you need additional care, your radiologist will work side by side with the rest of your care team, collaborating closely to help guide your care. 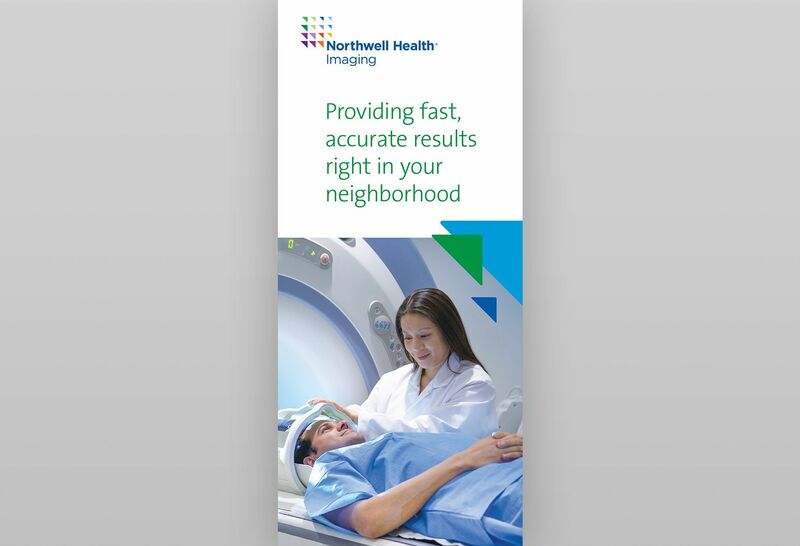 Northwell Health Imaging offers the largest group of fellowship-trained and subspecialized radiologists on Long Island, as well as access to all of the resources and clinical expertise of New York state’s largest health system. Whether you are here for screening, diagnostic or treatment imaging services, each of our practitioners is committed to providing a caring, comfortable environment and a positive, productive experience. A CT scan involves slightly more radiation exposure than a conventional X-ray exam. The dose of radiation required for a CT scan has not been shown to cause damage, and when a CT scan is recommended, it is because the expected benefits outweigh the risks. However, excessive exposure to radiation is known to increase the risk of cancer. If you are concerned, discuss possible alternative imaging tests with your doctor. A CT scan is generally not recommended for pregnant women because of the potential risk to the fetus. If there is a possibility that you might be pregnant, let your doctor or CT technician know. Your doctor may recommend a different kind of exam that does not involve ionizing radiation, such as ultrasound or MRI. Some CT scans are done with a substance called contrast material, which enhances the visibility of internal structures on exams that use X-rays. You may be given contrast material to swallow, or you may get it through an intravenous (IV) line. Allergic reactions to the contrast material used for CT scans are possible but are very rare. Tell your doctor if you are taking metformin (brand names include Glucophage, Fortamet and Glumetza). Rarely, people on these drugs can experience kidney damage if given contrast material. A CT scan is painless—you will not feel anything during the exam, though you may hear some noise. You will have to lie in a confined space for the image, but because imaging takes just a few minutes, most people are not bothered by the experience. If the scan is being done with contrast material, you may have an IV placed. As the contrast material is injected, you may experience a sensation of warmth or a metallic taste in your mouth. You may also be asked to drink oral contrast to help identify the bowel at imaging. For the CT scan, you will lie on a table, which slides into a doughnut-shaped opening in the scanner. There may be light lines projected onto your body, which are used as positioning aids. The technologist will leave the room during the imaging, but will be in view and able to see and hear you throughout the exam. During the imaging, an X-ray tube will move around your body, allowing many images to be captured from different angles. You will need to lie still, and may be asked periodically to hold your breath to allow the sharpest possible images to be made. For many CT scans, no other special preparations are required. You should dress in comfortable clothes. If you are wearing jewelry that could interfere with the exam, you may be asked to remove it. If your clothing includes any metallic objects, such as zippers or fasteners, in the area to be scanned, you may be asked to change into a hospital gown. In general, before a CT scan, you should take any prescribed medications on your usual schedule. You should not eat for four hours before the exam and may be asked to drink two to three glasses of water prior to your arrival. If you take metformin (brand names include Glucophage, Glucovance, Avandamet and Metaglip), you may be given special instructions. If you have diabetes, you should have your most recent BUN and creatinine levels available. These should be no more than six months old. If you are allergic to iodine dye or iodinated contrast, or if you have a history of allergic reactions, notify the location where you will have the exam at least three days in advance. Coronary computed tomography angiography (CTA): You should not drink coffee or tea for 12 hours before your exam. You also should not take Viagra, Levitra or Cialis for 12 hours before the exam. You should not eat any solid food for three hours before the exam but should drink two to three glasses of water prior to your arrival. Cardiac calcium scoring: You should not drink any caffeinated beverage or eat any caffeinated food on the day of the exam. Your CT scan will be interpreted by a subspecialized radiologist and the results will be promptly shared with your physician. Your doctor will determine if any followup care is needed.